We have some very exciting news about our Lisburn based physio clinic, advance physiotherapy & sports injury clinic. Our brand new rehab gym is now open and ready to use!!!! The walls have been drilled back to the bricks. Re-plastered. Re-insulated. Plaster board put back on. New radiators, new lights. Staff kitchen put in the back room. Back toilet fixed. Rehab gym painted and decorated. New plaster in the stair way. New flooring. Doors fixed so they shut slowly without banging (the little things in life make you happy). Thanks to Mark Crowe for all the great building work carried out!! And the new power rack has been installed and is looking beastly!!!! 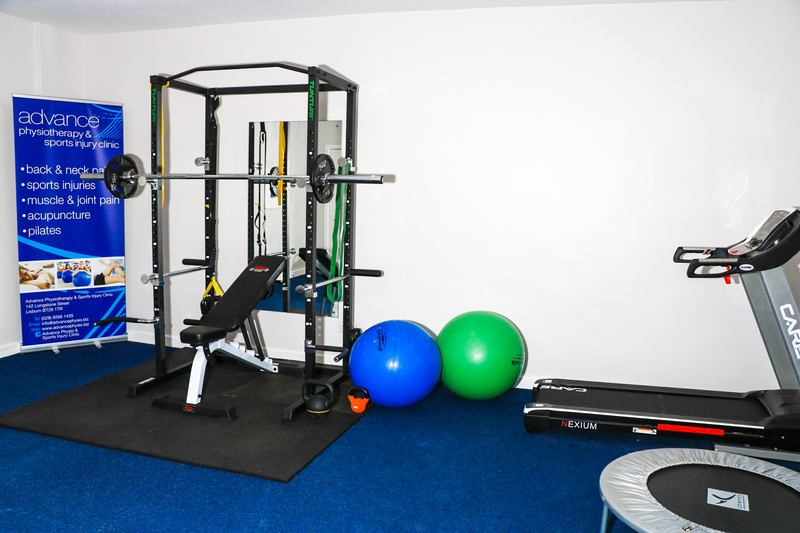 In addition to all this new equipment in our gym alongside our kettlebells, bench and weights, treadmill and TRX home2 suspension training kit we have got a rehab gym that is fully functioning and waiting for your sports injury. With this equipment it means we can be much more specific with our rehab. We can use it during physiotherapy assessments and during our ongoing rehab sessions. We can push you in clinic, work on technique, take you through full rehab sessions making sure you get the most benefit as possible from rehab. Match this equipment with the expertise of our physiotherapists and we are ideally placed to help you return to your sport, whether that’s rugby, power lifting, football or running or any other sport. We have six physiotherapists working at our clinic, each with different expertise. Shoulders, backs, arms, knees, hips and ankle injuries. Our approach is simple but effective. We use manual therapy alongside evidence based rehab programmes to help you reach your goals. Whether you’re an elite level sportsperson with an injury. Or an amateur wanting to progress to the next level. We can help you overcome your painful hurdle. If you have pain while running then we can complete a gait analysis to determine what might be contributing to your pain. If you have pain with bench pressing. Or pain with a pull up. Then our physiotherapists can carry out an assessment of your technique to figure out what is causing the pain. 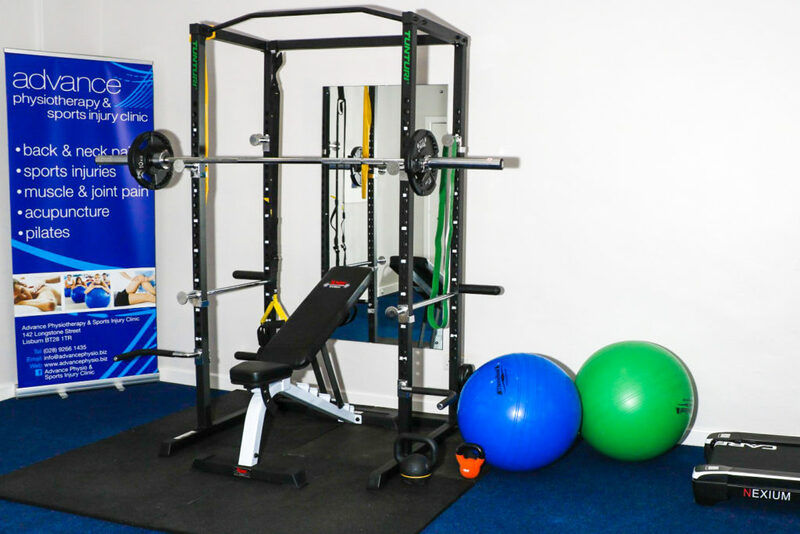 By having this equipment and rehab gym right here in Lisburn, Northern Ireland, we can combine it with our knowledge and expertise to give you the best possible chances at a successful recovery. If you have pain at the gym or pain with running. Or if you have pain with sports or with walking. Then give us a ring on 028 9266 1435. Chat with one of our physiotherapists to see if assessment and treatment will help your sports injury.